Once in a while something happens that you just don't expect. This was one of those moments. I received an email asking if I wanted to be included in Anthony Salcito's daily edventures. This is a blog that showcases "global heroes in education". I certainly don't consider myself a hero by any means but I do believe that it is important to celebrate recognition. I am honored to have been included and will take this opportunity to celebrate my students' hard work. It is because of their successes and struggles that my name has been put out there. It is my English Language Learners who share their voice, provide their opinions, and give me the desire to speak up. As a very shy young man it wasn't easy for me to share my voice when I was learning English. I use my experiences growing up as a second language learner to help my students. They give me the courage to speak up for them and to advocate for all learners. I am humbled and honored by the fact that my voice seems to be getting out there. It is important that we as teachers empower all students. Being able to communicate with both students and parents is paramount in educating English Language Learners (ELLs/ELs). When parents are able to communicate with teachers and the school at large, they are able to actively participate in their children's educational process. Communicating with students is crucial for their academic success. Teachers need to acquire information about their first language experiences, knowledge base, and their goals for the future. School nurses need to know the students' medical histories to properly provide services. The list goes on and on. Any tool that can help facilite communication is one worth investigating. Below are some of the tools that I currently use when working with my ELs and some that I am investigating for future use. Please let me know what other tools you are using to communicate with students and parents. Thank you for leaving the information in the comments section. I'm always looking to learn about tools that can help me better serve my students. These are my favorite tools to use with my English Language Learners. They can also be used with students in any discipline. I have used most of them when I was teaching Spanish. These tools offer different types of supports for learners. Let me know what you think. Compilation of infographics for numerous tech tools including Flipgrid, Newsela, Microsoft Teams, and others. These are some of my favorite tools and in the infographics I provide examples of how I used them as well as examples of how other educators are using them. 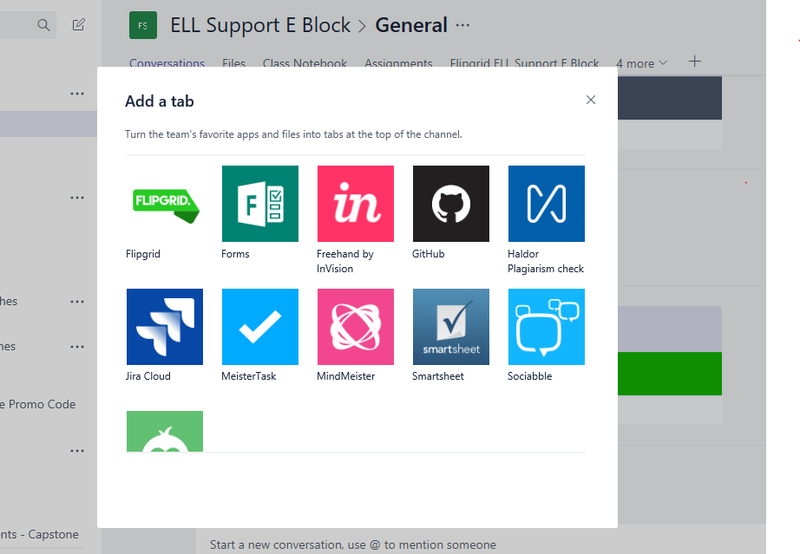 Tutorial video on how to embed a Flipgrid grid or topic into Microsoft Teams. ​2. Flipgrid Grids and Topics: ​Being able to embed grids and topics directly into Teams is a great feature. It allows my students to easily view and record video responses without having to go to the website. This makes it easier for them and saves a lot of time. 3. Text and Video Chat: ​​I have used the video chat feature to run a meeting with our language teachers at the high school and at the middle school at the same time. Being able to connect the two groups in two different buildings makes meeting much easier and allows for collaboration across schools. My students love to chat with each other using the text feature. This has increased opportunities for my ELs to practice their English. 4. Collaboration Space for Teachers: I have been using Microsoft Teams with our Leadership Team and with my department members. As a director in the building, Teams has given me a tool/place to put files, have collaborative conversations, and coordinate groups. I have created different teams including Leadership, Unified Arts, District World Language Teachers, MHS Technology Coaches, and District PLTW Teachers. I have also created a team for each of the CPT groups that I facilitate. 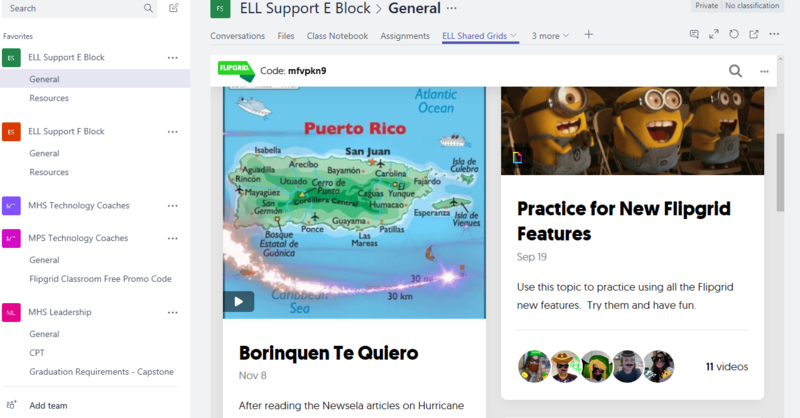 These are some of the ways that I am using Microsoft Teams with students and colleagues. There are many other ways and I welcome your suggestions and comments. 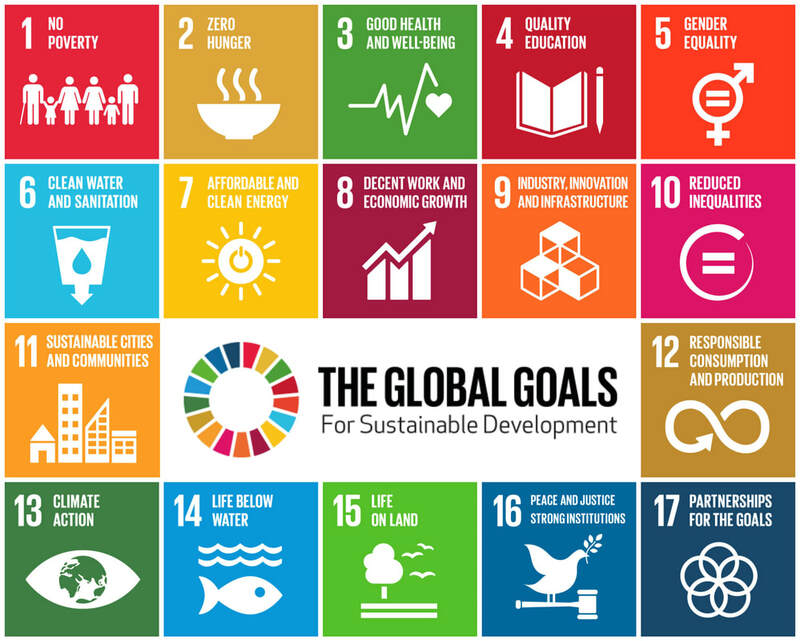 Using the Global Goals for Sustainable Development is a great way to get students connected to the rest of the world while making them aware of the world we live in and the issues that we face. These goals can be taught by any teacher in any class. Visit their website by clicking the link above for more information. 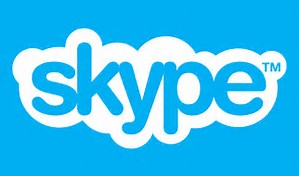 Skype in the Classroom is part of the Microsoft Educator Community. Students are able to participate in Virtual Field Trips, Skype Collaborations, and Skype Lessons. They can also play Mystery Skype and learn from experts in the field (Guest Speakers). 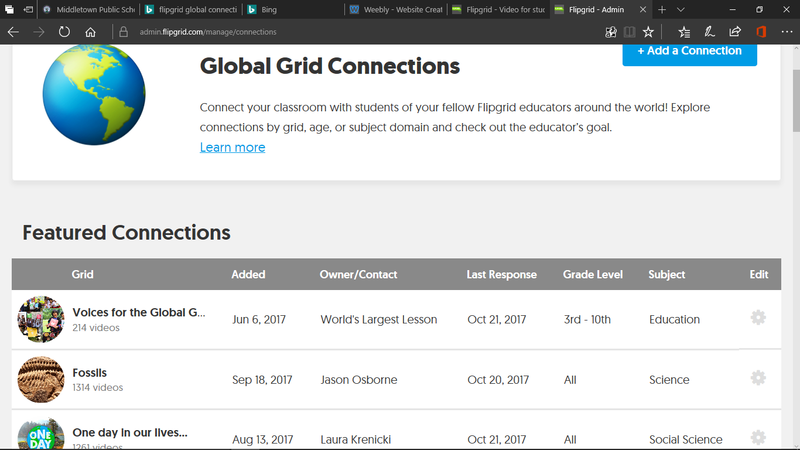 flipgrid.com/whatifFlipgrid Global Grid Connections is part of the Flipgrid platform. This area is filled with many grids and topics that allow teachers and students to connect with other classes throughout the world. One example is "Our Global Classroom" created by Flipgrid rockstar Brownyn Joyce from Australia. Most of the topics in this grid are connected to the Global Goals for Sustainable Development. Students and teachers from all around the world have left their voices on numerous issues. ​My global grid is called "One World". ​This is a grid that was created ​with my English Language Learners (ELLs). I hope to add topics throughout the year. Please connect to it and leave responses. ​These are some of the ways that I am trying to give my students global perspectives. There are many other ways and I welcome your suggestions and comments. 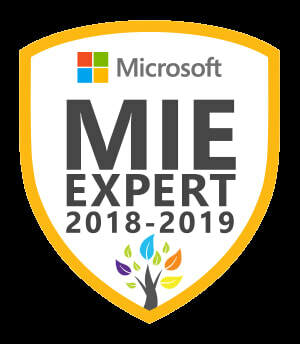 Luis is a MIEExpert, a Flipgrid Ambassador and Certified Educator, and a Newsela Certified Educator. He is the Director of Unified Arts, a language teacher (Spanish/ELL Support), and the Head Varsity Soccer Coach at Middletown High School in Middletown, RI. As a District Technology Coach, he helps teachers and students use technology to enhance their teaching and learning.